Great solution to substitute for a Split Queen Boxspring. 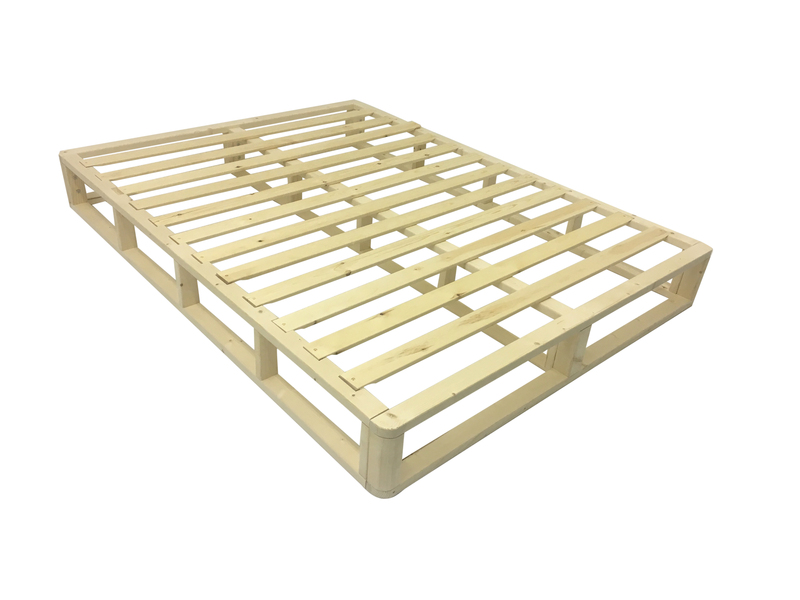 14 Solid Wood 2 3/4 inch Wide Slats includes Head and Foot End Wood End Frames with block reinforcement. Left and Right Side Wood Side Frames with Block Side reinforced. I-Beam Construction: Head to Toe Center Support Included on Queen and King Sizes. Theirs: Most of the foundations use shoddy construct at best and are stapled or nailed together. Most of these include somewhere between 7 to 8 slat that are only 1.5 inch wide. Ours: The knockdown solid wood foundation from JP Products best alternative support system for your hard earned money. 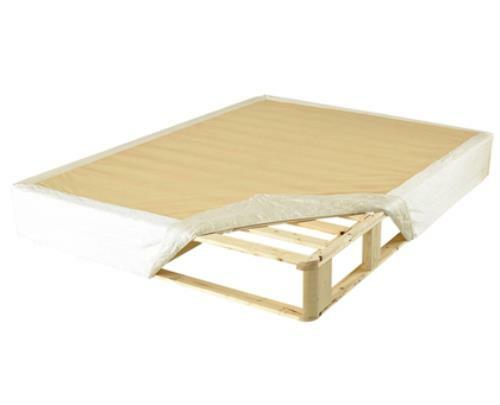 Simply compare it to the standard run of the mill box spring found in today’s market. The super duty wood foundation in most cases actually doubles the total number of slats to 14. The best part is that each of the slats are at least 2 3/4 inch wide and made from solid wood no matter what size you choose. 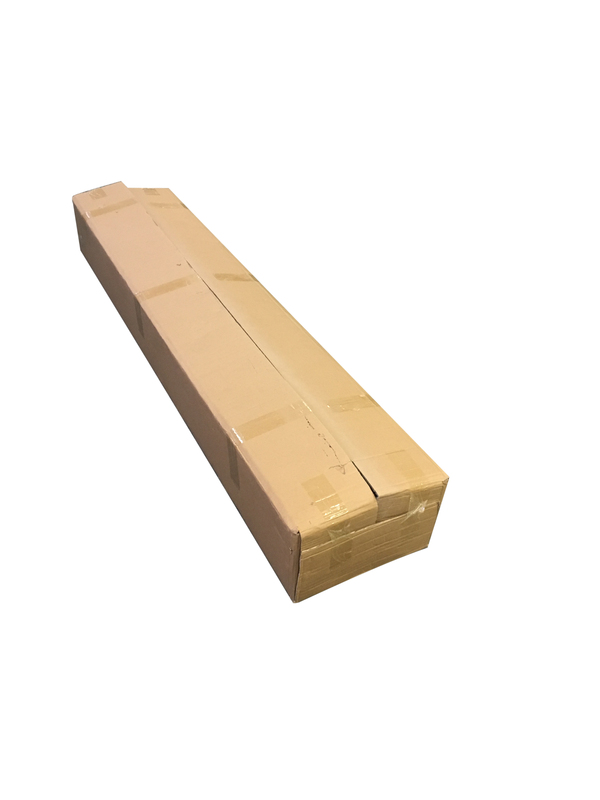 This heavy-duty box spring | Foundation is an excellent replacement for low quality torsion bars with square-shaped formed wires often sold in mattress and big box stores. We use only solid wood from head to toe providing the optimal support for your mattress. What Kind of Mattress Can I Use This With? 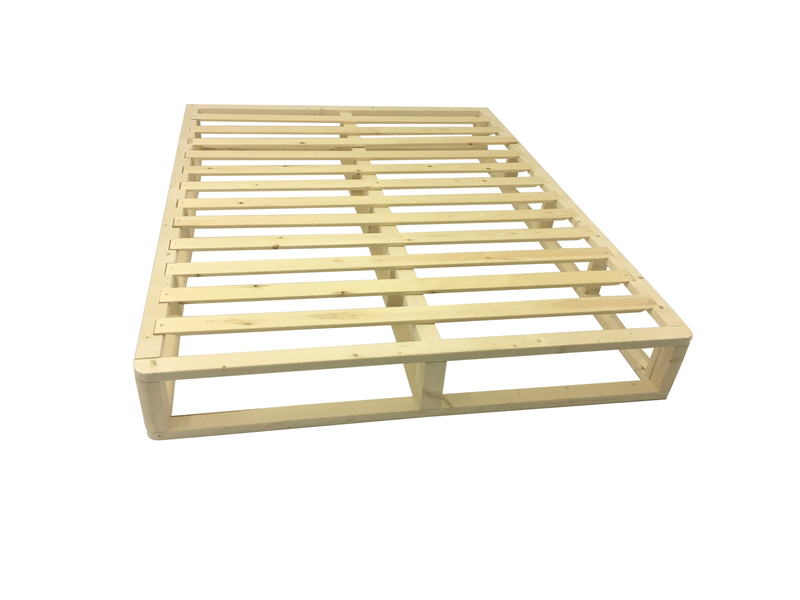 The heavy duty foundation can be used underneath virtually any type of mattress including memory foam beds, all bed in a box type of mattresses, latex mattresses, coil spring, pocketed coil beds, and hybrid beds. The slats are no more than 3” apart providing the necessary support for all of the mattress. The foundation comes with a luxurious encased cover the finishes off and completes the look of your mattress set. The neutral gray colored cover allows for it to coordinate with virtually any mattress. The neutral color goes with many mattress designs currently on the market today. The zipper encasement fully encases the foundation, allowing for a more finished look. Your new knock down mattress support system comes with all the necessary parts for a trouble-free assembly. Estimated time to remove packaging and assemble is 15 – 30 minutes. The foundation comes in pieces making it a one-person job. Carry it into the desired room piece by piece or in the box. A smart alternative to the mandatory two-person carry of a traditional bulky box spring. A drill is the only tool needed to drill in the wood screws is the only tool needed to turn this dream into a reality. 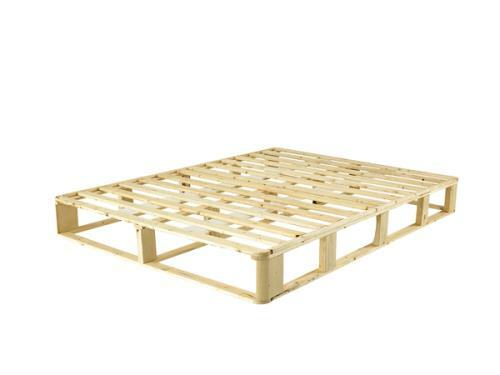 This Knock Down (KD) Wood Mattress foundation is shipped directly to your house via UPS. This box spring can be knocked down and moved at your convenience, making it easier to move than your ridged one-piece box spring or costly split queen box foundations. This makes it ideal for tight spaces such as upstairs where your traditional foundation or box spring may have issues. Twin- L: 74” W:38” H: 8.25” Weight 39 lbs. Full- L: 74” W:54” H: 8.25” Weight 52 lbs. Queen- L: 80” W:60” H: 8.25” Weight 64 lbs. Queen Ships in one box. When assembled Queen is a one-piece foundation. King- L: 80” W:76” H: 8.25” Weight 83 lbs. King Ships in one box. When assembled King is a one-piece foundation.